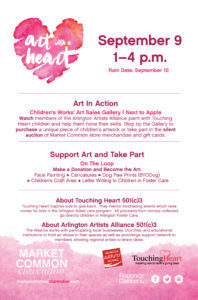 Join Touching Heart as we team up kids with local artists and create art in Clarendon!! 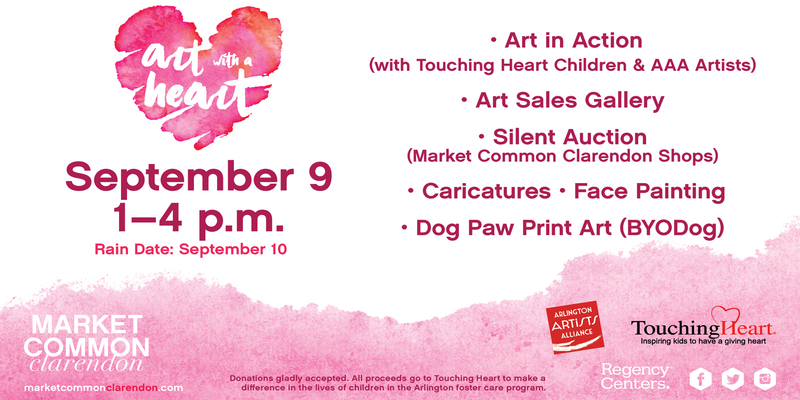 We are looking for: kids who love painting, kid volunteers, grown up volunteers and big kids and artists to donate artwork for display and sale at our art gallery. If you want to help in any way with this very special event, please email info@touchingheart.com.